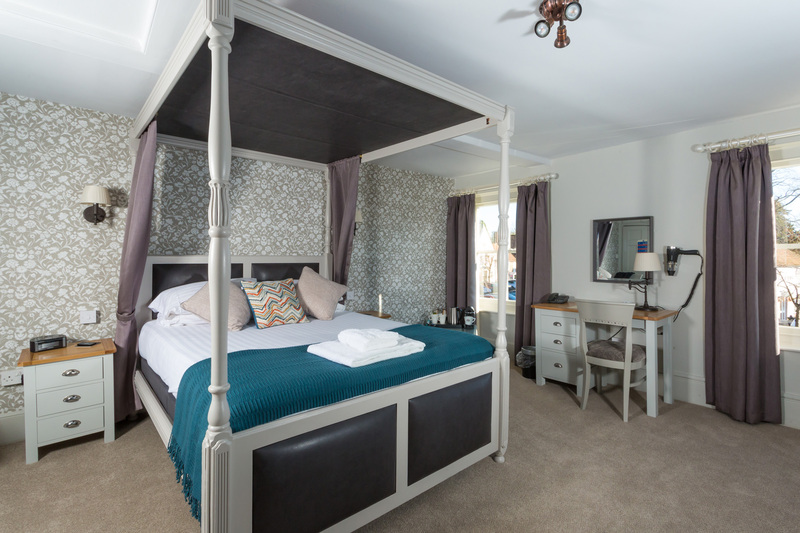 The Dog and Bear offers beautiful accommodation near Leeds Castle and The North Downs, with 24 en-suite bedrooms immaculately furnished and decorated in traditional village style. Each room provides everything you need for a comfortable and relaxing break, with Wi-Fi, a flat screen TV and handy little extras like a hairdryer and tea and coffee making facilities. Please Note: Some of our rooms are pet-friendly. If you'd like to stay with a pet, please contact us for availability. The best room in the house provides plenty of space, beautiful furnishings and a stunning four-poster bed. Our Superior Double and Twin rooms offer that extra bit of luxury for your stay away. Our Family Rooms are the perfect solution for those travelling with children. ​Offering a relaxing break away from home, our Double / Twin rooms offer a comfortable stay. Our single rooms offer excellent value when travelling alone.